The MGM group of companies was founded by Dr M.G. Muthu in 1963. Dr Muthu was a self-made man – a humble man who started with little more than his principles of Truth, Hard Work, Simplicity, Honesty and Faith. His hard work led to the establishment of various businesses in a variety of industries including logistics, mining, restaurant chains, construction and hospitality. 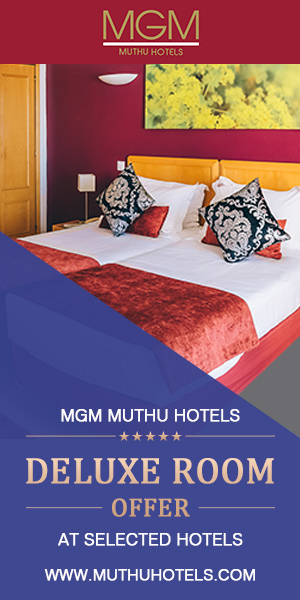 MGM Muthu Hotels offers a wide range of affordable luxury self-catering and all inclusive accommodation. With a wide range of facilities, we attract both, business and vacationing tourists and offer much more than just a convenient place to stay. Our aim is to offer top notch service and excellent quality to our dear guests. Experience the finest choice at all MGM Muthu Hotels. Visit us in Portugal, Spain, England, Scotland, France, Cuba and India. Immerse yourself in a wide range of affordable luxury & superb services such spa, entertainment, bars, restaurants & weddings.